Mundy-Taylor, J. (2014). It’s all a plot: preparation, memorisation and presentation for storytelling [Workshop]. 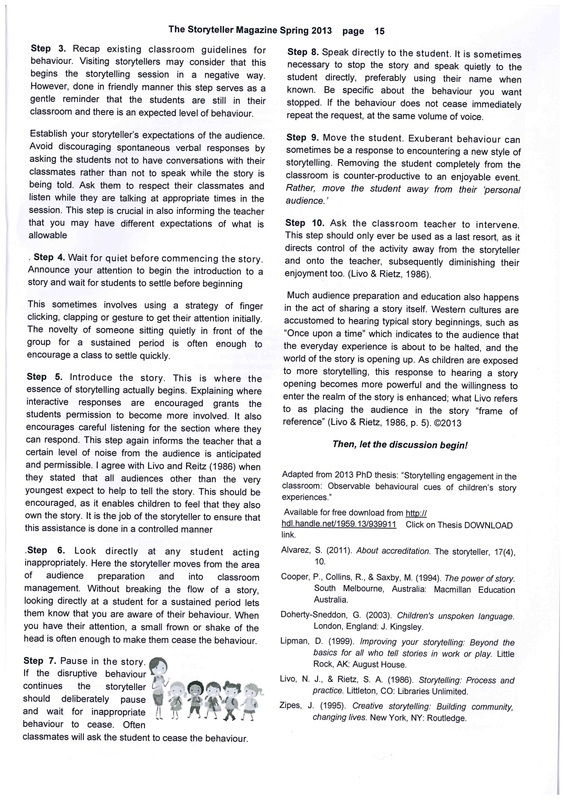 Paper presented at the Sydney International Storytelling Conference, Sydney Australia. Mundy-Taylor, J. (2014). Look what we found in the storeroom [Workshop], September 4th. Paper presented at the Faculty of Education and Arts 2014 Research Seminar Series, Ourimbah, University of Newcastle. Mundy-Taylor, J. (2013). Half Chick got burned. The Storyteller Magazine, 20(3), 12. Mundy-Taylor, J. (2013). Teller's tips: Ethics and classroom management. The storyteller, 20(3), 14-15. Mundy-Taylor, J. (2012). There's always fish. Paper presented at the NSW Chapter, Independent Scholars Association of Australia & School of Humanities and Social Science, The University of Newcastle Central Coast Campus Symposium: Between the Conception and the Creation:Story, Fantasy, Refuge and Reform, Ourimbah, Australia. Saturday the 21st of February 2009, Macquarie University, Sydney NSW. Mundy-Taylor, J., & Vanderwyk, A. (2009). Measuring the impact of Cross-cultural storytelling as a vehicle for the development of a culturally aware and racially inclusive, multi-sector campus. 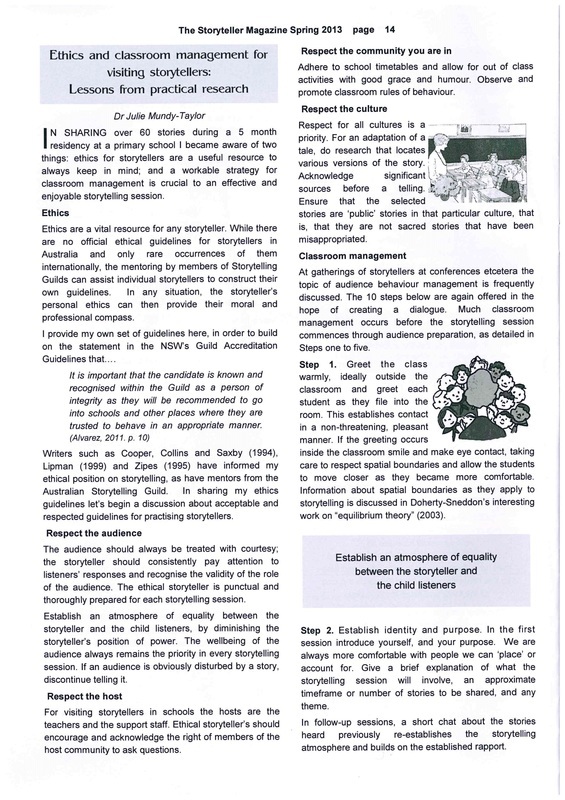 Paper presented at the The 2nd National Indigenous Family & Community Strengths Conference, Newcastle Dec 1, 2009.